New-found tradition in the Alpine Beer Pub Markterwirt! The regional roots, the personal style of the Schneider family and the structural conditions constitute a unique atmosphere in the Gasthof in Altenmarkt-Zauchensee. 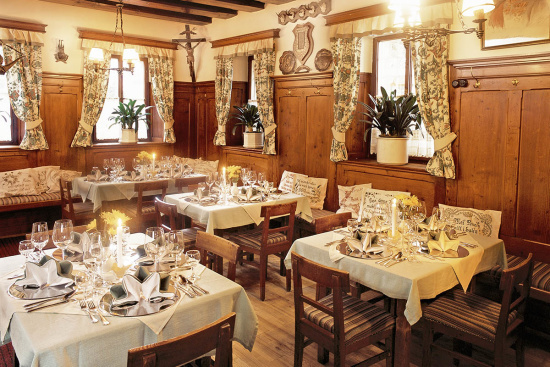 Our house, in the heart of Altenmarkt, is a typical tavern. For guests a place to get to know the country and its people and to experience warm hospitality. Savour regional specialities and international delicacies. Lovely, elegant dining areas and restaurant entice guests in to spend enjoyable hours here with us. 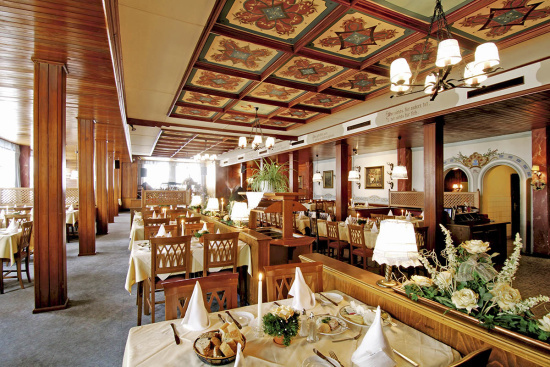 An example of upheld tradition and gemstone of our Gasthof & Alpine Beer Pub is our “Gaststube”, by the way the oldest snug in the region. 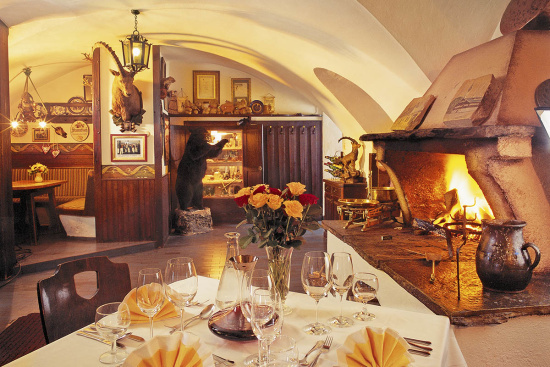 In the adjoining restaurant area “Alte Kuchl” (old kitchen) the fire crackles in the open fireplace. 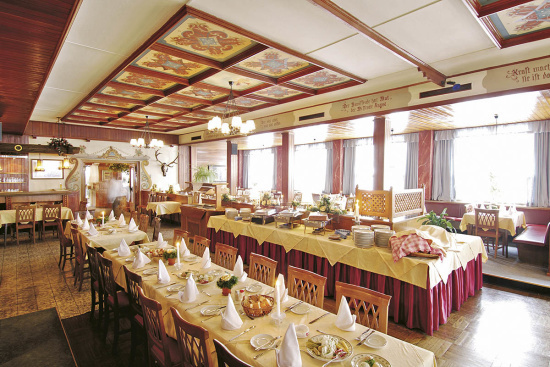 The à la carte restaurant in Altenmarkt offers special delicacies all year round, e.g. the game weeks in autumn attract gourmets from far and wide to the Markterwirt. 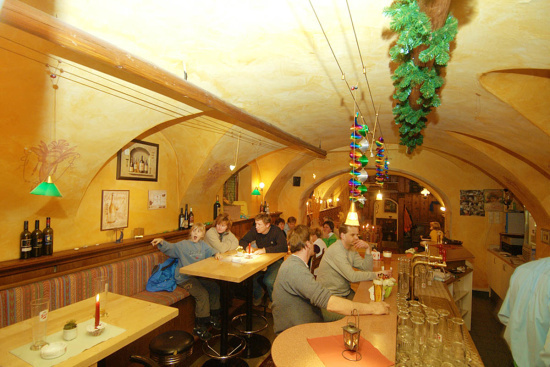 The “Gaststube” also offers the perfect location for private parties and celebrations and can seat up to 60 persons. 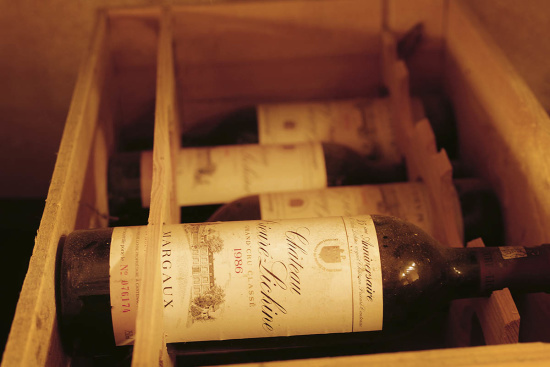 Savour our à la carte joys of the palate and wines from our own wine cellar. 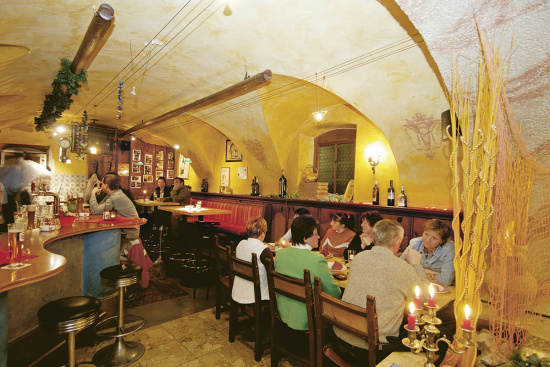 The “Gaststube” is a non-smoking dining area. Smoking is still permitted in the “Alten Kuchl”. 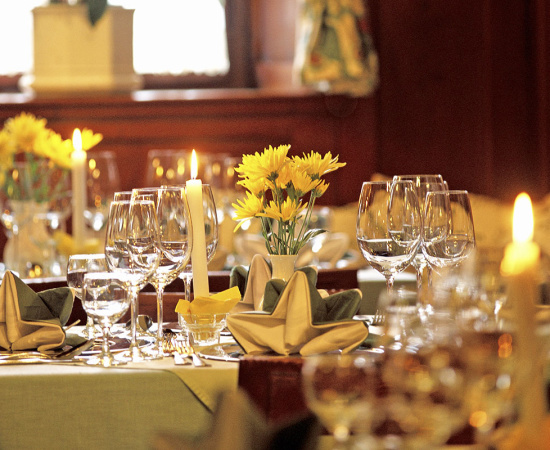 In the Markterwirt dining room our à la carte guests can select from our wide range of culinary delights. House guests too can set themselves up for an exciting day. Savour joys of the palate in a friendly atmosphere. Hochzeiten, Vorträge, Vereins- und Firmenfeiern,… – Der großzügige Saal eignet sich bestens für private und berufliche Veranstaltungen mit bis zu 250 Personen. Die Bühne und Tanzfläche bieten genügend Platz für gesellige Abende voller Musik und Köstlichkeiten. There is a large, centrally-located outdoor dining area connected to the Alpine Beer Pub. On hot summer days the large chestnut trees provide natural shade, whilst you enjoy your food & drink. From here you have direct view of the Market Square plus the Parish Church and you can experience the local events up close. 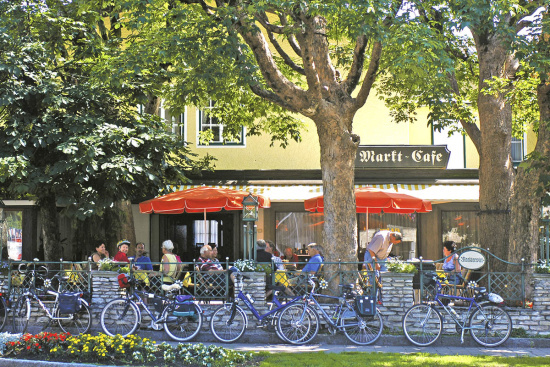 As soon as the temperatures in spring allow, our outdoor dining area in Altenmarkt is open for guests. In the summer months our weekly barbecue evening is popular amongst guests and locals alike. 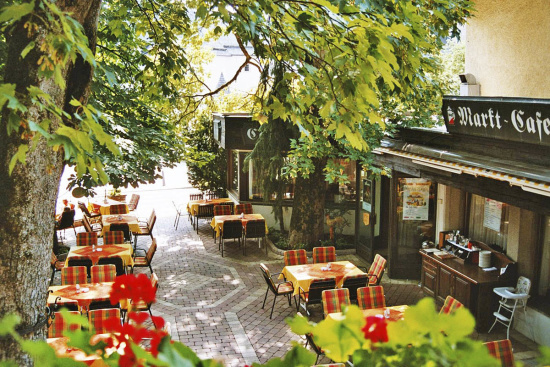 A whiff of “Bella Italia” in the cold season awaits guests in our Pizzeria in Altenmarkt in Pongau. The wide menu on offer ranges from freshly-made pizzas from the stone oven, pizza wraps to more traditional dishes. Das Pub im Markterwirt in Altenmarkt ist nach Feierabend ein angesagter Treffpunkt für Jung und Alt. Im gemütlichen Ambiente genießen Sie zapffrisches Bier, ausgesuchte Weine und coole Drinks. Auch Hotelgäste lassen gerne im Pub und an der Bar ihren Urlaubstag ausklingen. Wenn Sie der Hunger zwischendurch überkommt, wählen Sie einfach aus der À la Carte Karte. Ab 22.00 Uhr ist Rauchen in der Bar erlaubt. 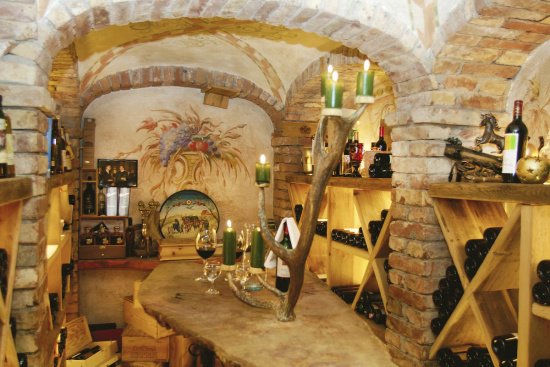 In our small, yet fine wine cellar at the Markterwirts we store top fine wines – whitea, reda and rosés. Meet the owner here to chat and enjoy our wines. We are happy to organise small wine tastings (on request). You can of course enjoy all wines stored in our cellar, Austrian top wines or wines from all over the world, in our restaurant.